Poll after poll around the country told us that healthcare was the most important issues for voters in the 2018 election cycle. It’s no secret that our healthcare system is inefficient and overly complex. 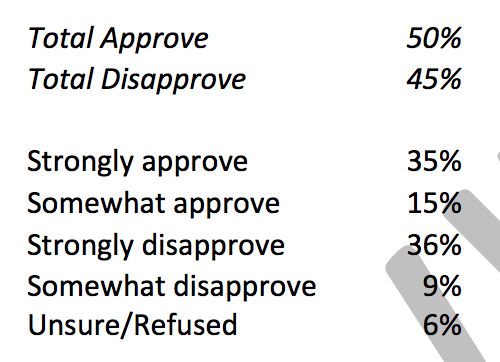 Deservedly so, voters want changes to the healthcare system. Elected officials from the right and the left claim that their proposals will solve the ongoing issues plaguing the United States healthcare system. Given the healthcare system’s high level of regulation an centralized decision making, the healthcare stakes for elections are very high. 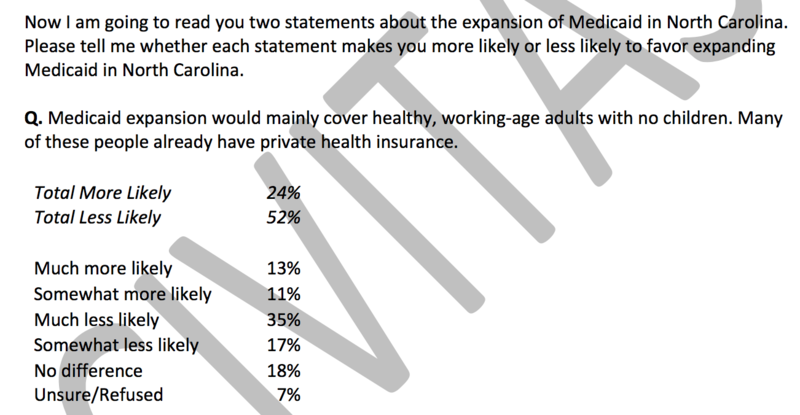 A Civitas poll that was conducted during the month of November after the 2018 election gave some insight into just what changes North Carolina voters want for their healthcare system. When told that Medicaid would impose a substantial strain on the state budget, the same results appear. Almost half of respondents said they would be less likely to support such an expensive program, including 37% saying they would be much less likely to support the program. Support breaks down for many of the more progressive health care initiatives when the public is asked to weigh in on more than just what it would do for the uninsured rate. This is not uncommon in healthcare public opinion as there is evidence in support for this claim with the issue of pre-existing conditions as well. The U.S. healthcare system is infinitely complex and polling data that breaks down policy initiatives with the purpose of asking people about cost and access could produce very different results than those questions that only ask about broad support for a policy.